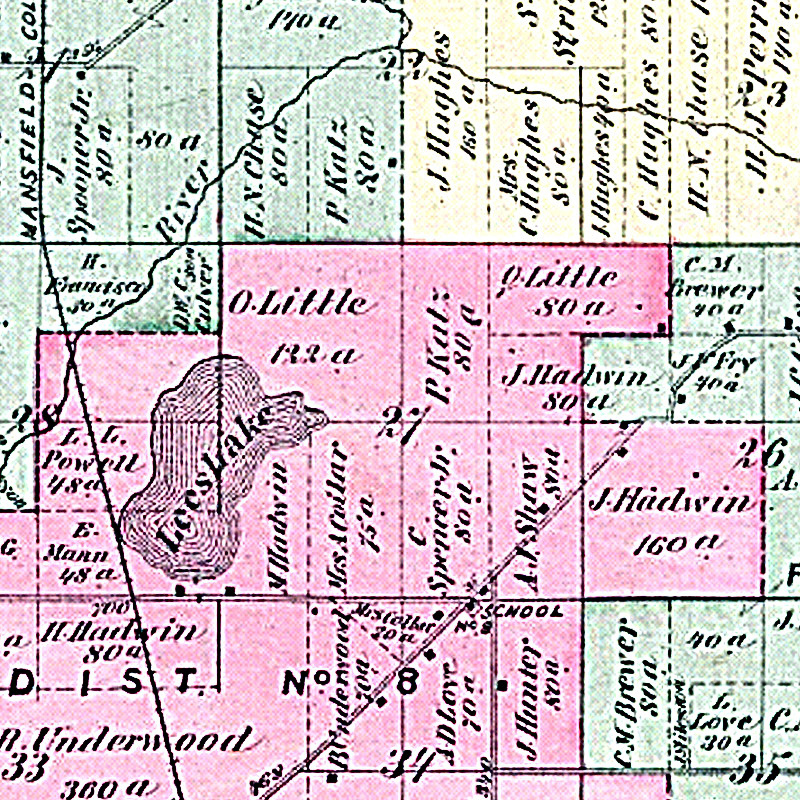 The 1850 Michigan census for Macon, Lenawee County lists James, Amanda and Sarah. James was a farmer with property valued at $1600. In the Michigan 1870 census (almost 6 years after his death) the farm real estate value was listed at $5000 and the personal estate was listed at $400. James L. Coller and family lived on a farm at Lees Lake near Ceresco, Newton Township, Calhoun County, Michigan. This is near Battle Creek. There were 95 acres running south from the eastern point of Lees Lake. 75 acres were north of J DR S and 20 were south off J DR S. According to satellite photos, there are still buildings where the original homestead was located. The location would be on Oak Grove Road just south (southwest) of the J DR S intersection. Richart Family Notes: The cemetery where he is buried is "about half-way on the Macon-Tecumseh Road." History of South Dakota, p 1799: "son of Jesse B. Coller, who was of English lineage. He accompanied his parents on their removal to Michigan, which was then considered on the frontier, and the parents were numbered among the pioneers of the state. James L. was reared to manhood in Lenawee County and after his marriage he continued to be engaged in farming in that country for a few years, after which he removed to Calhoun county where he continued in the same vocation until his death. 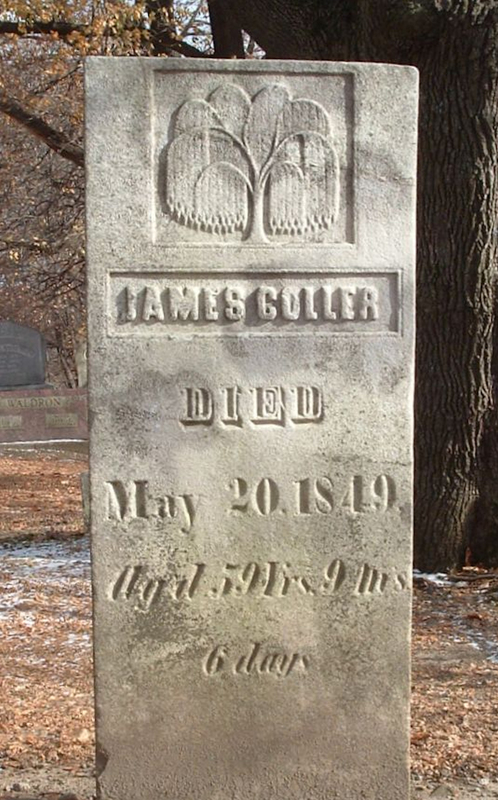 James was also referred to as "Dr." James L. Coller. This may have been due to knowledge gained informally as opposed to a formal education in medicine. 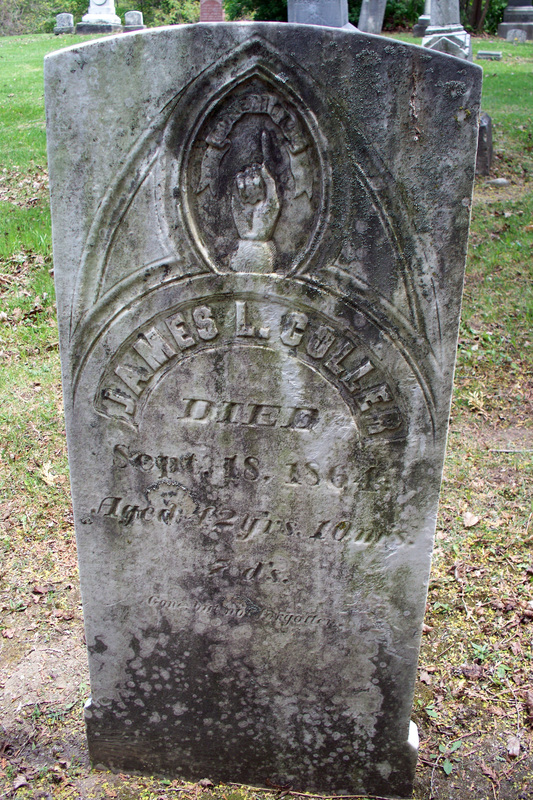 Gravestone Inscription: "James L. Coller, died Sept 18, 1864, aged 42yr's 10 m's 7d's"
1. Land: Lees Lake, Newton Township, Calhoun County, Michigan. There were 95 acres running south from the eastern point of Lees Lake. According to current road names, 75 acres were north of J DR S and 20 were south off J DR S. This 1873 plat map shows that Mrs A. Collar owned the property at that time. This was after the death of James. 2. Cemetery: Aten-Hendershot Cemetery, Lenawee County, Michigan.